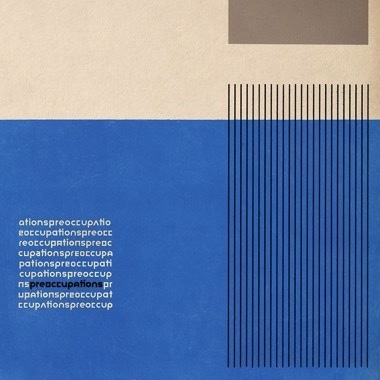 When the four members of Preoccupations wrote and recorded their new record, they were in a state of near total instability. Years-long relationships ended; they left homes behind. Frontman Matt Flegel, guitarist Danny Christiansen, multi-instrumentalist Scott Munro and drummer Mike Wallace all moved to different cities and they resolved to change their band name, but hadn't settled on a new one. And so where their previous album 'Viet Cong' was built in some ways on the abstract cycles of creation and destruction, 'Preoccupations' explores how that sometimes-suffocating, sometimes-revelatory trap affects our lives. Opener "Anxiety" articulates that tension: clattering sounds drift into focus, "Monotony" moves at a narcoleptic pace by Preoccupations' standards, "Degraded" surprises, with something like a traditional structure and an almost pop-leaning melody to its chorus, and the 11-minute-long "Memory" is the album's keystone, with an intimate narrative and a truly timeless post-punk center. 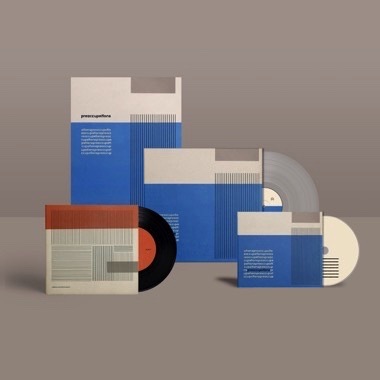 All this adds up to Preoccupations: a singular, bracing collection that proves what's punishing can also be soothing, everything can change without disrupting your compass. Your best year can be your worst year at the same time. Whatever sends you flying can also help you land. 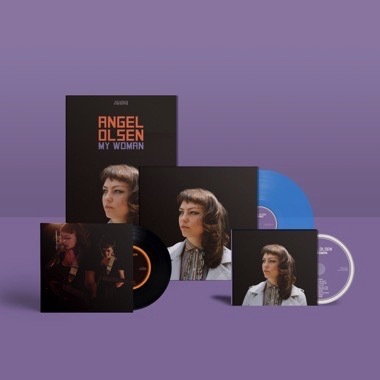 Angel Olsen "My Woman Deluxe Bundle"
6. 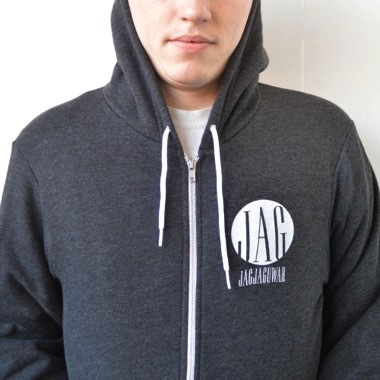 Instant download of “Intern"
Jagjaguwar "Jagjaguwar Logo Zip Hoodie Black"
New Jagjaguwar Circle Logo printed on American Apparel Flex Fleece (50% Polyester / 50% Cotton Fleece) zip-up hoodie. 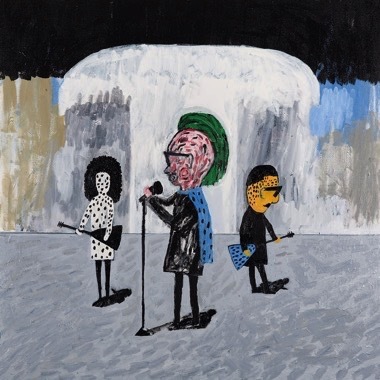 Moonface and Siinai "My Best Human Face"
I called this thing My Best Human Face not only because that's one of my favorite lines on the album, but because I sometimes don't know who I am, or if I'm as kind and generous and happy as other people. The title speaks to the vague theme of identity-confusion that is loosely woven into the songs - a reoccurring theme I recognized only after the writing was done. It’s a confusion which I think exists for most of us, sure, but that doesn’t mean it has to be the campfire in the middle of our circle; we don’t have to stare into the flames. It’s simply not that important. At end of it all, these are good-time songs, meant to inspire good times in the listener. They were made joyously, with a stubborn love of music at their centre. And while some of the content might be dark or sad, the memories of making these songs brings only gladness and gratitude, and it's their construction, not deconstruction, that I want to celebrate now. For the last decade, Tim Heidecker (along with his comedy partner Eric Wareheim) has proven to be one of our cult-comedy greats with his Adult Swim series "Tim & Eric's Awesome Show, Great Job!" and "Tim & Eric's Bedtime Stories." He's starred in indie films and played sold out stand-up sets around the world. But who is Tim Heidecker? Is he a real man with all the regular feels? Well, yes, of course he is. He resides on a hill in Glendale, CA, up to his armpits in diapers, bills, his mortgage, in the workaday life of a writer. 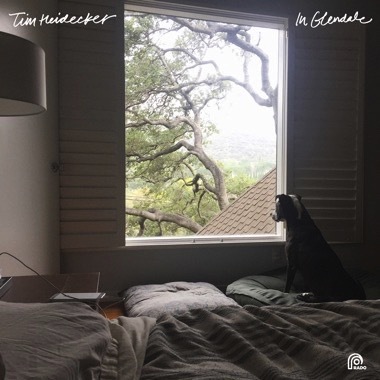 It's this pedestrian side of his life from which Heidecker pulls the fodder for the aptly titled In Glendale, his first earnest collection of songwriting under his full name. In Glendale shows Heidecker shifting deftly from the mundane to the idiosyncratic; from the sentimental to the caustic; from the earnest to the humorous. His knack for crafting catchy tunes amid curious subject matter pops up in spades across In Glendale. "Ghost In My Bed" is a lovely little number about cutting off someone's head, sticking it in a plastic bag and burying it beneath the Hollywood sign. After an album's worth of songs about Hollywood murder fantasies, diaper changes and even a cameo from director David Gordon Green, you're left desperately trying to wipe the smile off your face. Unknown Mortal Orchestra / SILICON "Phone"
Brothers Ruban and Kody Nielson have been playing, recording and collaborating on music for decades. 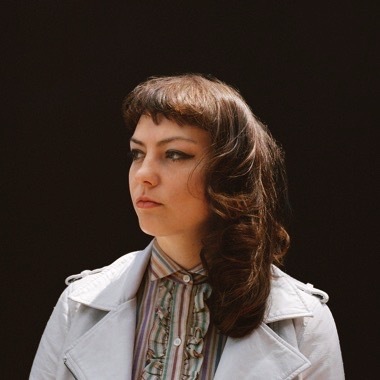 From the influences of their jazz musician father and dancer mother, Ruban and Kody have gone on to play in New Zealand's The Mint Chicks, and at its end in 2010, moved on to separate projects. Ruban formed Unknown Mortal Orchestra out of Portland, while Kody collaborated with various artists and musicians before his own solo project, SILICON, took shape. 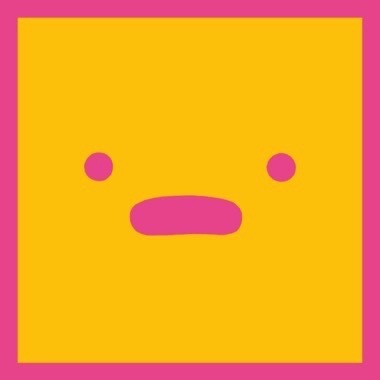 At the end of 2015, as UMO's Multi-Love and SILICON's Personal Computer made the rounds, garnering critical acclaim, Ruban and Kody (who played keyboards and drums on UMO's Multi-Love) took some time to rework tracks from each of their records. 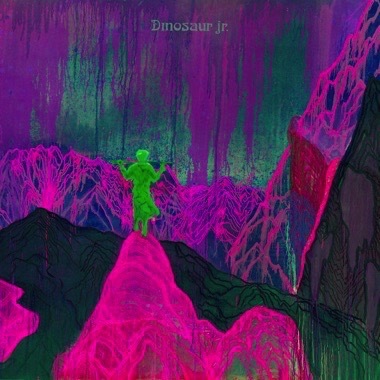 The theme of phones led to Kody working on UMO's "Can’t Keep Checking My Phone," changing it from a bouncy, sprite disco track to a sparser song filled with space, treated vocals and isolated drum breaks. Ruban's rework of SILICON's "Cellphone" is turned moody and dark, with a skittering beat and additional vocals. The limited edition Phone 7" is available on April 1, 2016. 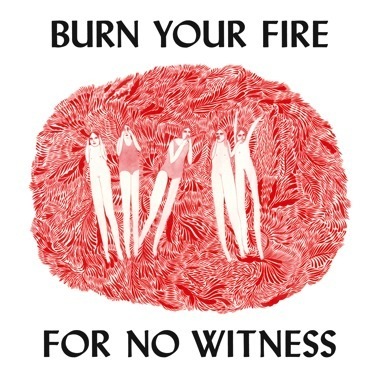 Angel Olsen "Burn Your Fire For No Witness Deluxe Edition"
Through the cerebral undergrowth and fantastical thickets of Aspera's dark imagination comes Sugar And Feathered, the re-release of the elusive Philadelphia-based quartet's sophomore full-length, re-mastered and packaged with all new artwork. As eerie as it is amiable, the twelve songs of Sugar And Feathered create a conceptual forest breathing with melodies familiar and forgone. 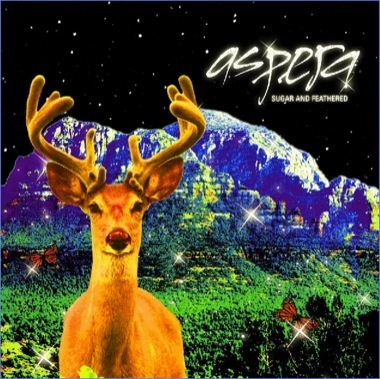 On this record, Aspera creates songs that bear a passing resemblance to Crocodiles era Echo and The Bunnymen as fed through the dry, trashy production work of Tony Visconti's T Rex recordings. 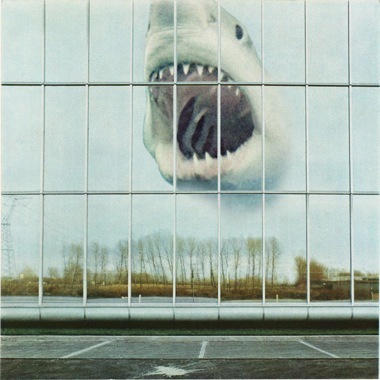 The experimental nature of Brian Eno and David Byrne's random sampling on My Life In The Bush of Ghosts mixes with the rudimentary electronics of Bowie's Scary Monsters, a smattering of 80's-style synthetic percussion and a fondness for Peter Murphy, conjuring a record with only one non-wayward quality - unrelenting creativity. 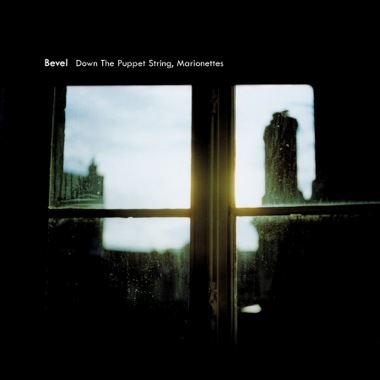 Bevel "Down the Puppet String, Marionettes"
Bevel makes pastoral folk music in the same vein as Vashti Bunyan, Nick Drake and Maher Shalal Hash Baz. Bevel is the project of Via Nuon (lead guitarist of Manishevitz and now defunct Drunk). Down the Puppet String, Marionettes began in the early parts of 1998, is now being introduced for the first time since its original conception 6 years ago. 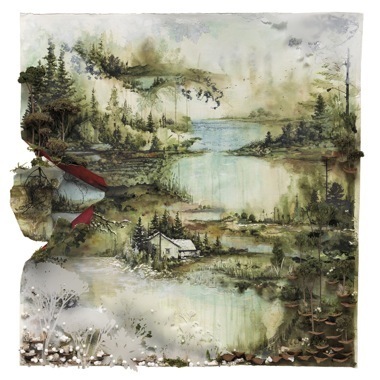 Comprised of old and new songs diligently re-worked and re-recorded between 2001 and 2002, it also includes a chilling rendition of a Civil War-era traditional and a suitably deconstructed version of Donovan Leitch’s “Teas”. Melodious and interwoven throughout this mini-album are the lull-like tones of Deanna Varagona’s baritone sax exhalations. Sometimes an undulating piano line—played by Michael Krassner—can be heard punctuating against the textural rhythms tapped out by Gerald Dowd. Although only 19 minutes in length and operating in a stream of consciousness-like fashion, Down the Puppet String, Marionettes, captures a transitory world, whose bucolic plains and uncharted beaches are characteristic results as one awakens, diluted and immersed, such as from an afternoon reverie. Bevel "Where Leaves Block the Sun"
With Where Leaves Block the Sun, Bevel follows through with the promise that was made with its debut Turn the Furnace On. 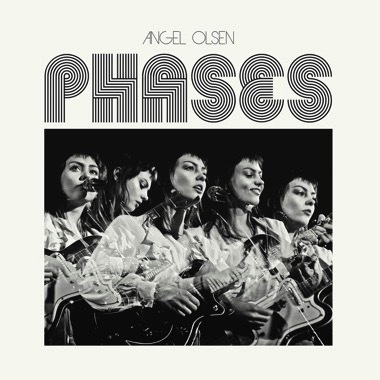 The new full-length is principal songwriter Via Nuon's electric pastoral folk music, which begins with a symbolic Dante-esque like descent into the wilderness. Through the foliage disguised music, rich and fascinating images interplay with dark and light scenarios giving a chiaroscuro effect and also a sense of cinematic progression. Though difficult to describe in sound, one might compare Bevel to the other worldliness music of Pearls before Swine, Brian Eno's experimental ambient period, or the climactic achievement of Popol Vuh's lush film soundtracks. 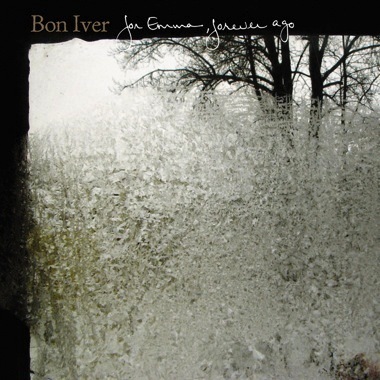 Bevel "Turn the Furnace On"
An unpolished document, TURN THE FURNACE ON exists in the same moody and emotional climate as Yoko Ono's SEASON OF GLASS and Red House Painters' OCEAN BEACH. Not so unlike Skip Spence's OAR, TURN THE FURNACE ON is the product of a man who has for years existed in the public eye only as a member of a greater whole (Nuon being a core member of the Richmond, Virginia, group Drunk, as well as an occasional member of Chicago-based Manishevitz; Spence with San Francisco's Moby Grape). 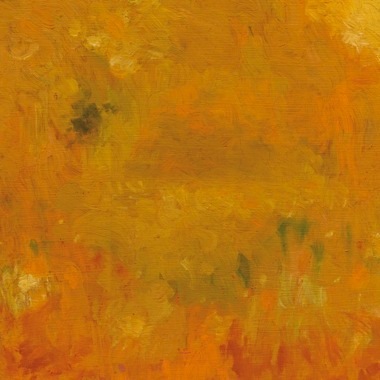 Like Oar, TURN THE FURNACE ON is the sort of creative watershed which begs the listener to re-examine the works done by the artist in his more well-known group and experience his effects there more acutely, with more regard for the subtle force of personality which has rightly been made more evident. name of a character in modern Southern literature. 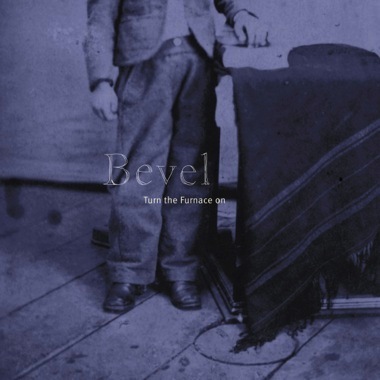 Turn the Furnace on is the debut album by Bevel, and it is a feat of beauty. Conceived, composed and captured almost entirely by one man, Via Nuon, Bevel's TURN THE FURNACE ON is a subtle work of solitary triumph. Few albums created by the hands of one succeed in leaving such an indelible impression of personality. Most solo artists -- especially those of such minimal design -- are required the span of a career to leave their mark on the ever-evolving body of song. 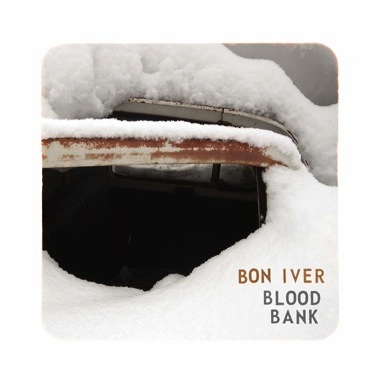 But with TURN THE FURNACE ON Bevel distinguishes Via Nuon as a brave new voice in folk form. 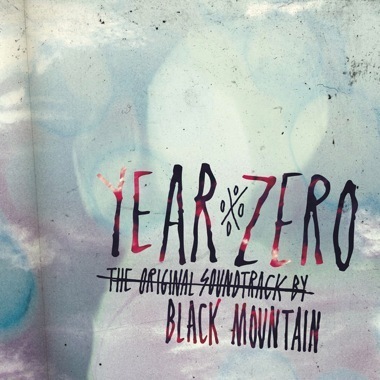 Black Mountain "Year Zero: The Original Soundtrack"
Black Mountain’s Year Zero soundtrack is nothing less than the band’s full, balls-out glory distilled down to one dense, 45-minute acid tab of music. 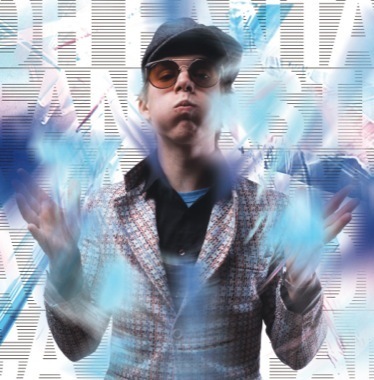 Featuring five new songs and five previously released songs, the Year Zero soundtrack weaves crunching, analog psych metal; futuristic droneouts; and, somehow, a twisted saxaphone ditty. 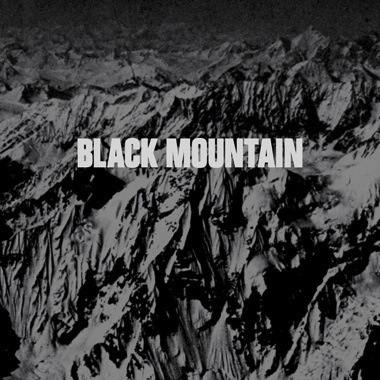 Black Mountain "Rollercoaster b/w In The Drones"
"Rollercoaster" is the third single from Black Mountain's Wilderness Heart. This song really showcases the band's trademark psych-metal sound, and throughout it the interchanging vocals of Steve McBean and Amber Webber are in full force. The song was recorded at Sunset Sound in Hollywood with D. Sardy. The b-side to this single is entitled "In The Drones" and is previously unreleased. 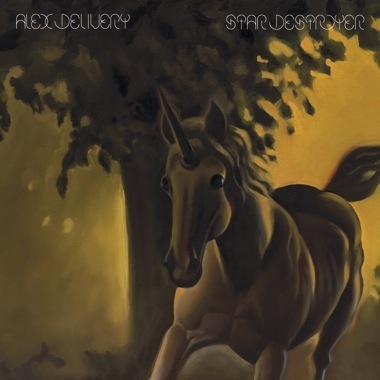 It features Webber's haunting vocals at the forefront, accompanied by reverb-drenched picking and shadowy synth stylings underneath. The song was recorded in Seattle at London Bridge Studio with Randall Dunn. Black Mountain "In The Future"
Favorite psych-and-prog-spiritual pioneers BLACK MOUNTAIN are back with "In The Future", their second full-length album that resonates with the same epic ring, beloved deep rock touchstones and genuine folk fragility that made their self-titled debut full-length an instant classic. 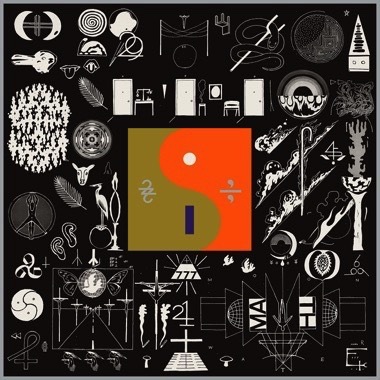 The new album possesses immense breadth, seamlessly showcasing short and classic folk-pop gems along with driving modern rock masterpieces, peaking with "Bright Lights", a seventeen-minute multi-dimensional opus that gives Pink Floyd's "Echoes" a run for its money. 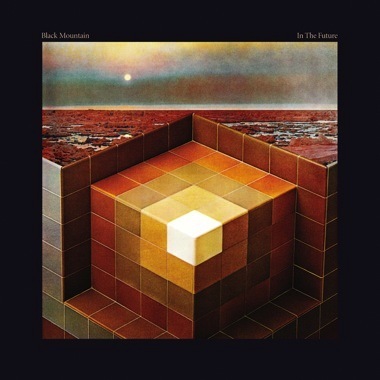 Black Mountain "In The Future Deluxe Edition"
Time to rejoice space travellers, music lovers, drug takers and all freak creatures of the nighttime world. The heat is on and the streets are wild. We've had enough of your modern music and fake painted smiles. We're all looking for a little more. Big amps, small amps, it's all the same. Dee-lite said that groove is in the heart. But we believe that rock'n'roll is boiled in the blood and born in the soul. What more do you want? What more do you need? Distractions? Interstellar cellular progress? Better killing machines? Originally released as a 12-inch single (and acting as the band's first release ever), the Druganaut single is now being molded in the CD format, with two additional songs added to it. 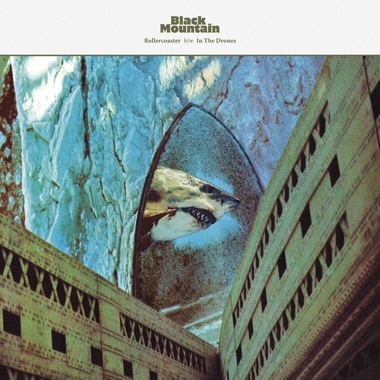 Black Mountain are the front line soldiers for the Black Mountain Army, an arts collective from Vancouver, British Columbia, featuring members of The Pink Mountaintops, Jerk With A Bomb, Sinoa Caves, and Blood Meridian. Their debut self-titled full-length record may well be the Pied Piper that takes us all back into the primordial mountain, where our hearts can be made steady and our minds can be set free. It brings to mind - as does this Druganaut single - Animals-era Pink Floyd, Black Sabbath, Neil Young and a James Brown on a liberal does of cough syrup. Black Mountain, the front-line soldiers for the Black Mountain Army, an arts collective from Vancouver, British Columbia, write, perform and record music that speaks (and sings) to this realization: that solutions are rarely simple, that the world is as complex as it is ambiguous, and that music sprinkled with an inoculating dose of madness may well be the Pied Piper that takes us all back into the primordial mountain, where our hearts can be made steady and our minds can be set free. Their debut self-titled record, like a space probe built of erector set parts and transmitting secret and arcane messages to earth by string, charts territories unknown yet remains grounded by the roots of classic rock and roll. It is easy to discern these roots: Black Sabbath, Animals-era Pink Floyd, Blue Cheer, Led Zeppelin and Can. Principal songwriter Stephen McBean’s vocals are a smoother, bluesier amalgam of the voices of Neil Young, Mick Jagger and perhaps a James Brown loaded on cough syrup. And when Amber Webber’s voice joins Stephen’s, the combination brings to mind the potency and chemistry of Richard and Linda Thompson singing together on Shoot Out The Lights, or of Meat Loaf and Ellen Foley howling together on Bat Out Of Hell. 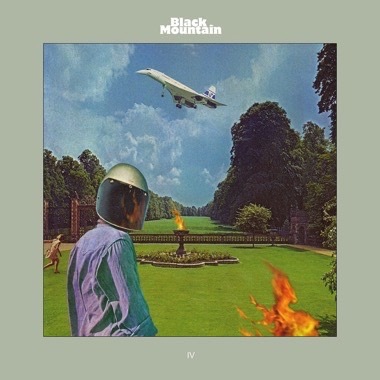 Musical comparisons aside, the Black Mountain full-length is one part protest song, one part pop-cultural commentary, and one part sick-groove-rock casserole peppered with mesmerizing ballads and intoxicating ditties. “Modern Music” is the lead-off hitter and counts its way to the imposing and riff-rife “Don’t Run Our Hearts Around”. Immediately thereafter, the sludge-rock masterpiece “Druganaut” establishes the fecund heart and tone of the record. 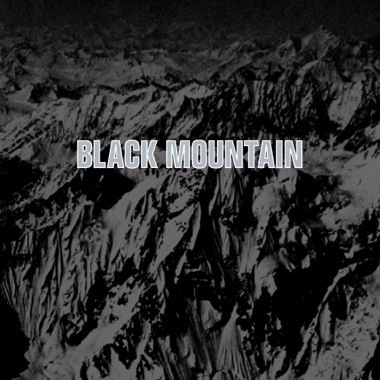 Black Mountain have also just recently released a 12-inch single (on Jagjaguwar), including an extended mix of “Druganaut” on the A-side. And the band’s currently sexploitative counterpart The Pink Mountaintops, a band that also pipes into the prolific well-spring of Stephen McBean’s mind, released their self-titled debut record (on Jagjaguwar as well) this past summer. 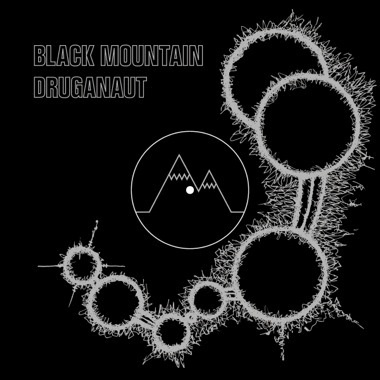 A video by Heather Trawick of the song “Druganaut” is included on the CD version of the Black Mountain self-titled record. 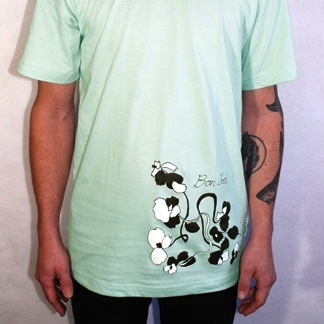 Bon Iver printed on pale green American Apparel 100% cotton T-shirts.